The teen years are probably the most difficult time in a person’s life. There are teens who make positive and negative decisions that will make them who they are in life. Some kids decide to make decisions that will affect their life in a negative way. Some kids decide to use these years wisely and make decisions that will affect their life in a positive way. Golden Valley High senior Tyler Schumann is one teenager that has decided to focus on the positives and his future. Most high school kids don’t really think this way but Tyler is a special person. Now that he’s back in high school with those same peers Tyler hopes that his maturity rubs off on some of his friends. 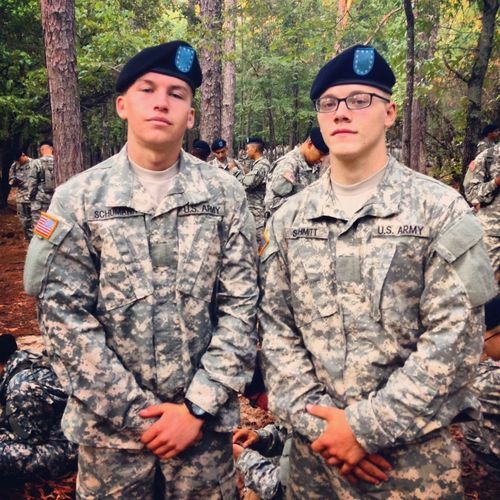 Tyler now is focused on finishing high school, and getting prepared to depart to Fort Leonard Wood, Mo., for Advanced Individual Training any time between June through August. After that he plans to attend Airborne School and further his military career. Hopefully more people will take after Tyler and further themselves for the betterment of their country and other people. Golden Valley High is fortunate to have people like Tyler in their student body.